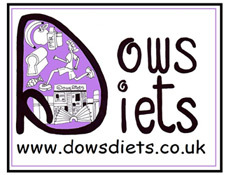 Dows DietsNewsSpice Up Your Life! Herbs and spices are an underused and undervalued commodity. By replacing salt in our diet with herbs and spices we can improve our health and also make our food taste better. A win win! I begin with spices used in many curry style dishes. Cayenne Pepper: Contains an oily substance called capsaicin, an ingredient in many creams for arthritis and muscle pain. Cayenne pepper has anti-inflammatory and antioxidant properties. There is scientific evidence that it reduces blood sugars in persons with diabetes after a meal. Cinnamon: A healing spice that improves blood sugars for those with diabetes. ¼ to ½ teaspoon daily could reduce triglycerides and cholesterol levels significantly. Cinnamon is thought to help reduce the risk of blood clots. It is also an anti-inflammatory, and rich in antioxidants. Coriander: Coriander seeds yield cilantro which is known to be a digestive aid. It can be helpful for some who have IBS and calms intestinal spasms. It is also thought to be an anti-anxiety herb and a powerful antioxidant. Garlic: The odour comes from a substance called allicin which is a sulphur compound responsible for the smell and has medicinal benefits. Allicin helps to reduce cholesterol levels, has an anticoagulant effect and is a powerful antioxidant. It is thought this sulphur compound, not dissimilar to those found in cruciferous vegetables such as broccoli, cauliflower and sprouts can help to ward off cancer especially stomach and bowel. Garlic also has powerful antibacterial and antifungal properties. It can help with yeast and sinus infections as well as the common cold. Ginger: A digestive aid, with anti-inflammatory properties. Both ginger and turmeric help to reduce pain and swelling in patients with arthritis. They can also help to block inflammatory prostaglandins that aggravate migraines. Ginger is good for the stomach, boosting digestive juices and neutralising acids. It is also effective against nausea however best taken before you think you will become nauseous. Mustard: Contains substances that studies suggest may inhibit the growth of cancer cells. A mustard compress may help someone who has Raynauds phenomenon as it brings more blood to the fingers. Mustard can also stimulate an appetite by increasing the flow of saliva and digestive juices. Mustard added to a footbath can kill off fungal infections. Eat too much however and it can have a laxative effect and induce vomiting. Turmeric: Spice that gives curry powder its yellow colour. It stimulates an appetite and is a digestive aid. The chemical responsible for the golden colour in turmeric is called curcumin which is a top anticancer agent. It reduces inflammation and tumour growth. Researchers are investigating the role of curcumin and other anti-cancer compounds in cruciferous vegetables as possible treatments for prostate cancer. Watch this space for these results. Studies have also linked turmeric to reduced inflammation in psoriasis. Curry powder is a spice mix containing turmeric, coriander, cumin, cinnamon, mustard powder, cayenne, ginger, garlic, nutmeg and fenugreek. It is an amazing blend of many of the aforementioned spices which provides an array of anti-bacterial, anti-inflammatory, anti-cancer, anti-coagulant, anti-depressant and antioxidant properties. This is before we look at the many powerful flavours that these spices can create in our food! Heat the oil in a pan and add the cardamom and cumin, fry until the seeds pop. Add onion, garlic and chicken and cook for about 5 minutes.